One of Bangkok’s most popular tea houses is Agalico, which located on Sukhumvit 51 near the sky train station (E6). When you go inside, you will immediately surprise with this colonial white house surrounded by a sylvan garden. This is the meaning of this tea house’s name in Sanskrit (Agalico)—timeless, because you will take time pleasurably here without concerning time. I went to Agalico first time with my sister, she had been there before, I found that it was very easy to find although, even if you’re a first timer at Agalico, It’s easy to get there because it’s located on is so close to the sky train. Whoever knew that there will be the impressed place in the central of Bangkok? I fell in love with there at the first step I put. Agalico offers you the indoor-decorated white tables and the outdoor-garden table. 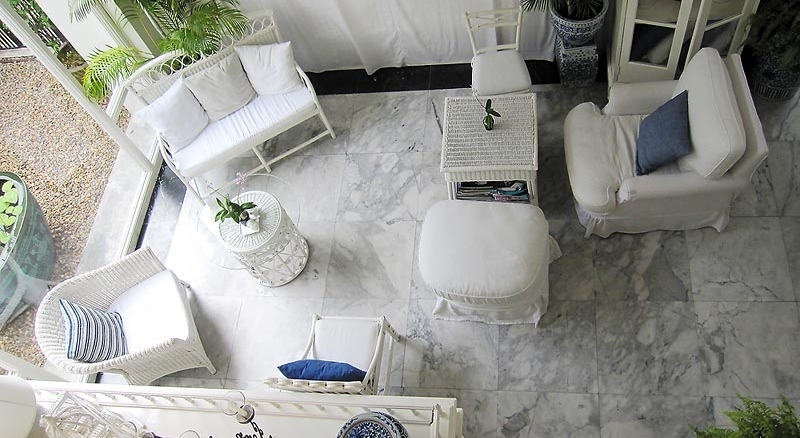 I assure that it’s hard for you to decide between the charming white-toned furnitures, which make you remind to the era of King Rama IV, and the attractive place to chill-out your stresses like garden. Not only are the dreamy atmosphere outstanding but the various teas and home-made menus too. 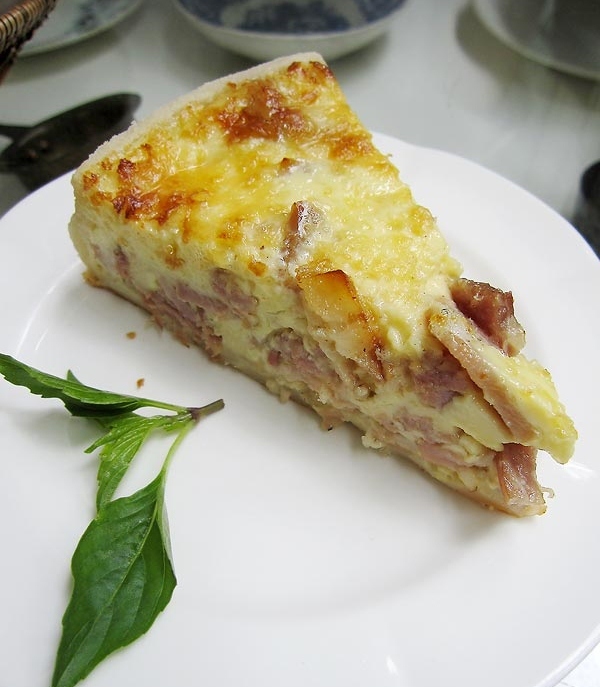 The home-made menus are Scones with cream and strawberry jam, Apple Crumble, Chocolate cake, Carrot cake, Apple cake and Bacon Quiche. 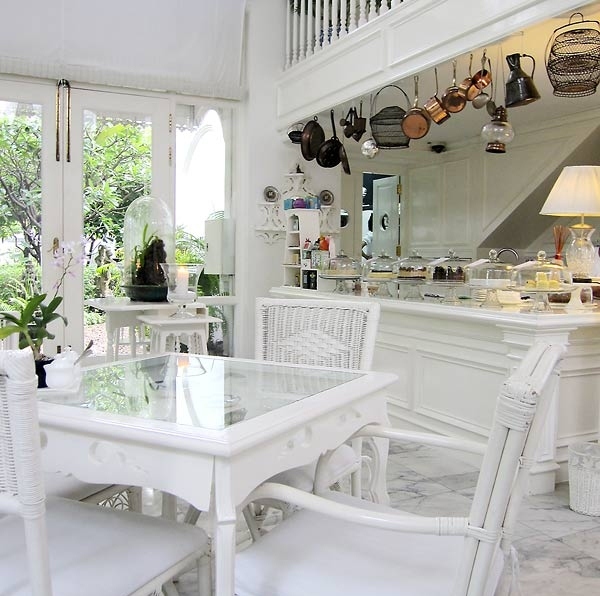 This lovely tea house has been owned by the interior designers, ML Poomchai Chumbala. Agalico is only open three days a week (Friday through Sunday) as Khun Poomchai runs it purely because he loves it and not as a money-making business.